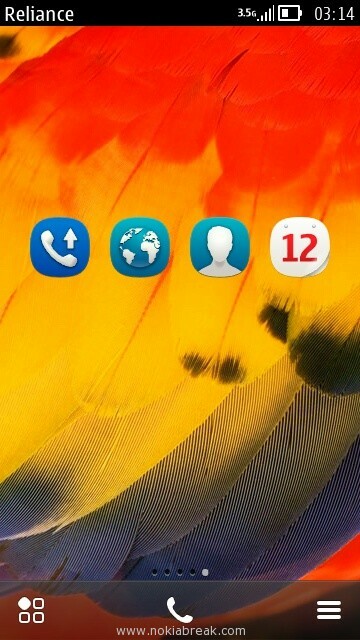 Nokia belle shows the App caption (application name) on the homescreen. Many of you will find this feature useful, and many thinks how to remove name from the shortcut app. 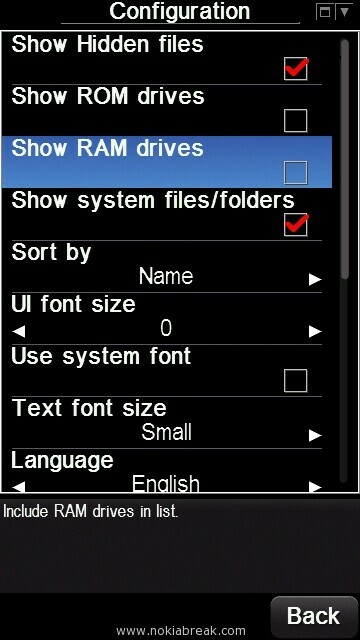 By default, you cannot disable or remove this feature in Nokia belle. You can only remove caption from the homescreen if your phone is hacked. So, in order to follow the steps below, you have to hack your phone using the antivirus security hole method. You can learn this method from here. Once your Phone is hacked and ROMPatcher installed, with Open4All patch then you can follow the below tutorial. 2. 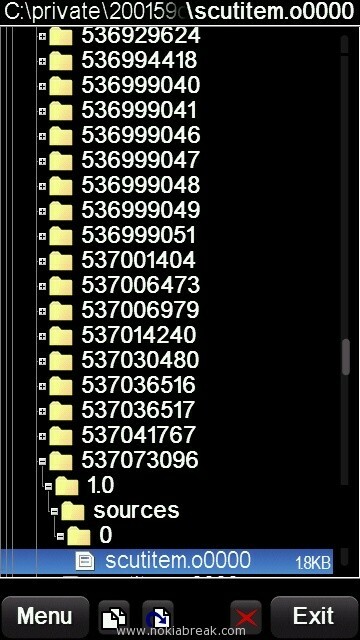 Now, copy these files to your phone using Bluetooth, connectivity cable or memory card reader. 3. 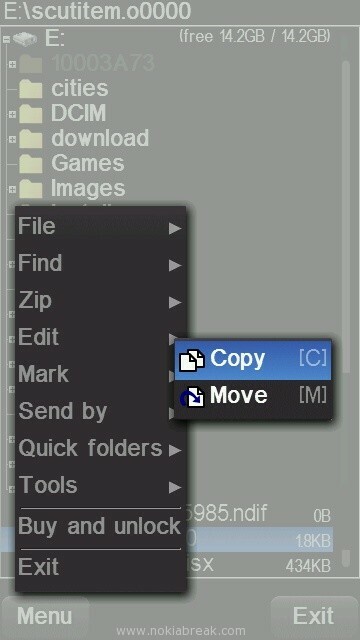 Locate the copied files on your phone. 4. Now, install “X-Plore 1.57.sisx”, on your computer. Once installation is completed open it. 5. 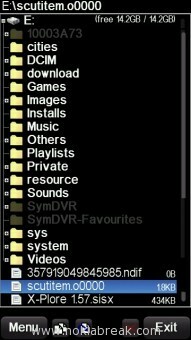 In X-plore, open Menu > Tools > Configuration. 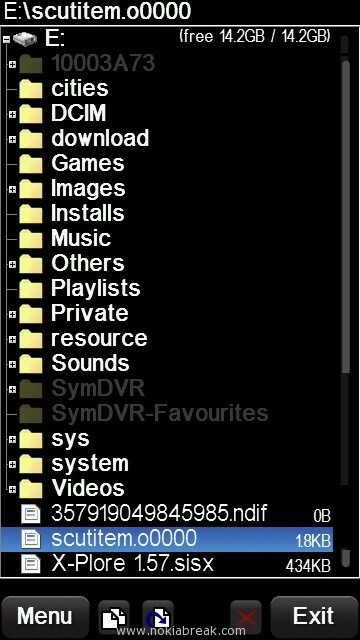 Select “Show Hidden files” and “Show system files/folders”. 6. In X-plore, locate the scutitem.o0000 file using that you have moved from computer to your phone. 7. 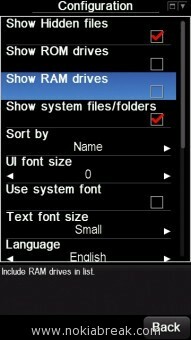 Select and copy the scutitem.o0000 file using Menu > Edit > Copy. 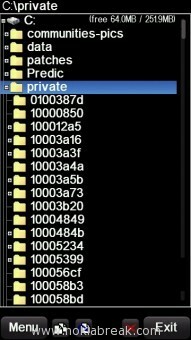 C:private >200159c0 >themes >536999050 >270513751 >537073096 > 1.0 > sources >0. 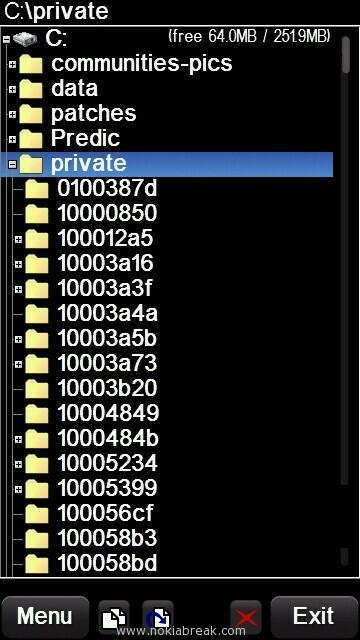 on your phone (you can only open the Private folder if your phone is hacked). 9. Once you have copied the file, Restart your phone. After restarting your phone, you will be able to see that there is no caption under the shortcut icon on homescreen. 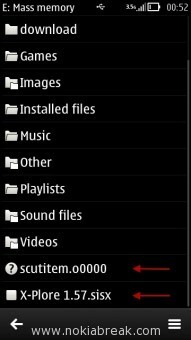 If you want to restore caption then you have to download restore caption mod, and copy and paste it on the same folder. If your phone is hacked but there is no ROMPatcher installed then you can learn how to install it from here. 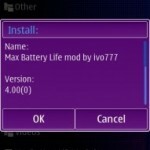 Once ROMPatcher is installed on your phone, you have to apply Open4All patch. 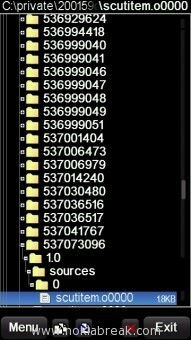 Applying Open4All patch is very important otherwise you would not be able to open the Private folder on c: of your phone.